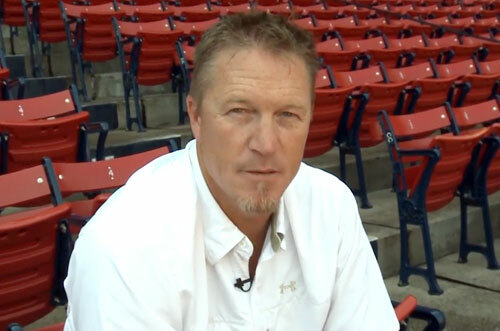 Mike Timlin is a former MLB relief pitcher who played for the Toronto Blue Jays from 1991–1997, the Seattle Mariners from 1997–1998, the Baltimore Orioles from 1999–2000, the St. Louis Cardinals from 2000–2002, the Philadelphia Phillies in 2002 and the Boston Red Sox from 2003–2008. Timlin is a four-time World Series champion for 1992, 1993, 2004 and 2007. Sports Speakers 360 is a booking agent for pro athletes. If you would like to book Mike Timlin for a speaking engagement, appearance or endorsement, contact a Mike Timlin booking agent for fees at 1.855.303.5450.